The last toy I got to wrap with printed vinyl (not gift paper,) was a Tonka truck for my sons 4+years ago. It will not be long until his toys may become bigger challenges. 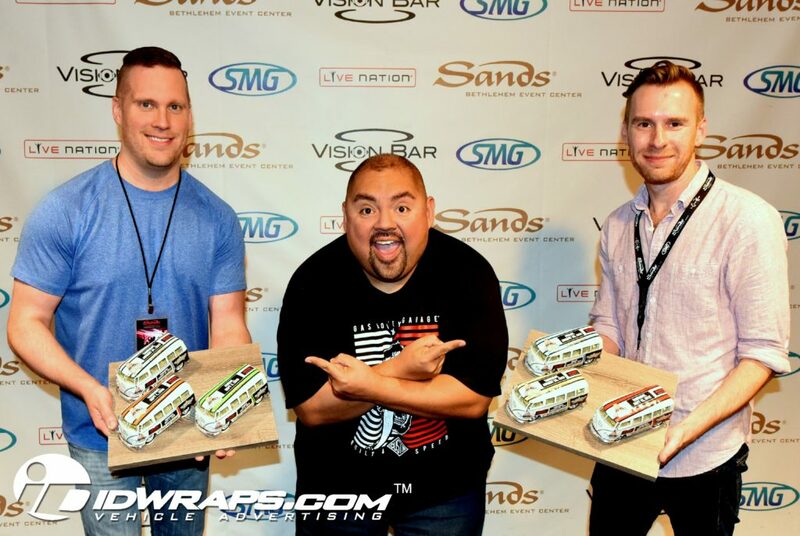 Our partnership with the Sands Event Center, located in Bethlehem, PA brought us the unique project pictured below; and it is just that: toy VW Bus wraps. The world famous comedian, Gabriel Iglesias, whom has been one of the biggest hits at the Sands. He has sold out the entire facility every single show over the years (6x sold out.) 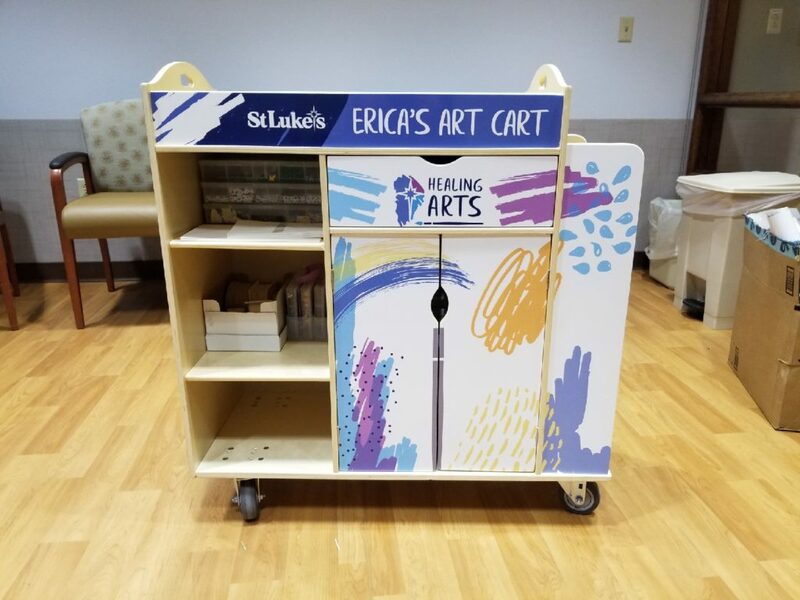 As a special thank you to Gabriel, the Event Center marketing team enlisted the IDWraps team to create an exceptionally creative gift. Gabriel is a car buff, and has a specific affinity for classic VW Buses. Nonetheless, he was quite surprised by the 6 custom model vans, each outfitted with unique bus wraps graphics on each featuring all the sold out show dates. We started the project off a quick search online for models which closely resemble VW Buses that Gabriel has in his collection. Our next step was to perform a precision survey of the mini bus models. Sure, we could simply shrink down our existing vehicle design template of a full size VW Bus, but we chose not to take chances on any dimensional deviations that may exist on the toy version. All it takes is one door handle to be out of place and in the way of small text or images that may distort going over such dimensional features. Our head designer, Nikki Humenik, then modified Gabriel’s existing show poster art to fit our custom layout template. From there, the proofs were presented to the client, and approved. Printing was done on one of our HP L360 latex printers using 3M’s Envision IJ480MC with 3M’s matching gloss laminate. The Envision product was selected due to it’s high level of conformability, along with it’s stretchability. The size of the tiny surface features and raised objects warranted the added assurance of a film that can be stretched up to 150%. Add the fact that this film is often heated and rolled onto difficult textured surfaces- we knew the IJ480 was a good choice. The installation process for these little bus wraps was rather tedious, considering the size of the applications. One’s natural inclination may be to think that it is just an “easy to wrap” little toy van. Not! A quality die cast model has all the usual obstacles that we have to work around, only at a very tiny size. A show quality finish requires a super steady hand and attention to detail. Being 1/20th scale means that a small slip has 20x the impact on these miniature graphics. All facets of the application, from the handling of the small prints, to the trimming required extra care. As an installer, many of us are accustomed to trimming vinyl around reasonably sized shapes. When it comes to small vehicle models, a slightly jagged cut that may be normally acceptable on a full sized vehicle stands out like a significant eye sore. 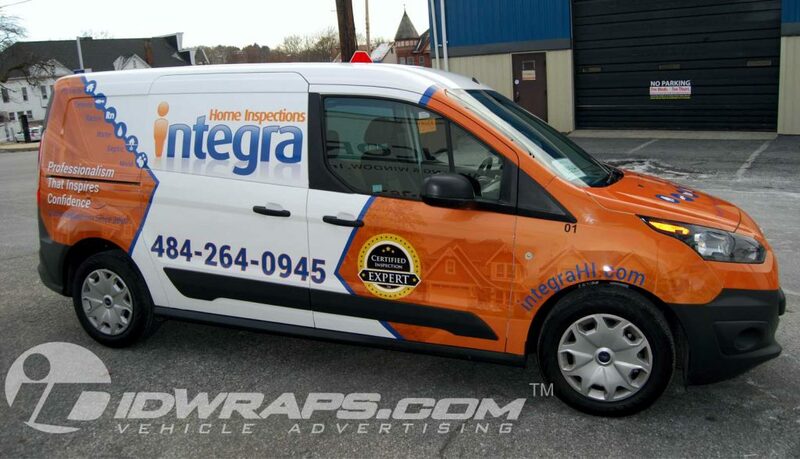 Get Your Free Vehicle Wrap Quote Today at IDWraps.com. Stripes on personal vehicles has become a very popular trend at IDWraps.com. The two most popular vehicles that we have been doing stripes on the most are the Camaro and Mini Cooper. 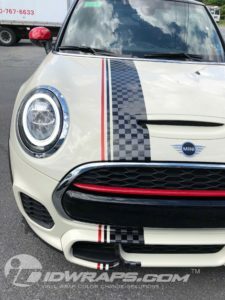 Pictured below is a great example of Mini Cooper 3M custom vinyl stripes. 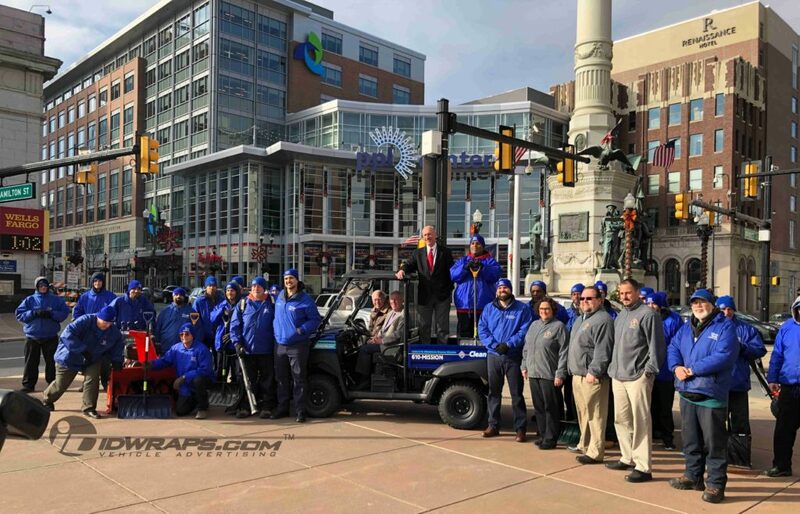 This project came to us from our client, Mini of Allentown, whom had a client looking to stand out and be utra unique. This sweet top of the line John Cooper Works edition convertible received a 3 color/3 finish arrangement. Featured are 3M 1080 satin red, matte grey, and gloss black vinyl films which show a tremendous contrast and very interesting look. The red came in at a super close match to the red trim and mirror package that originally came with the vehicle from the factory. The beauty of the 3M 1080 films is not only the durability, but the removability. Say the next owner wants to change things up, these stripes may be cleanly removed without adhesive residue, and the new owner may do a stripe color selection of their own. The durability of this vinyl is also fantastic, which is up to 8 years. 3M stands behind this product with a 3 year limited warranty. IDWraps.com gladly services this warranty for our clients. 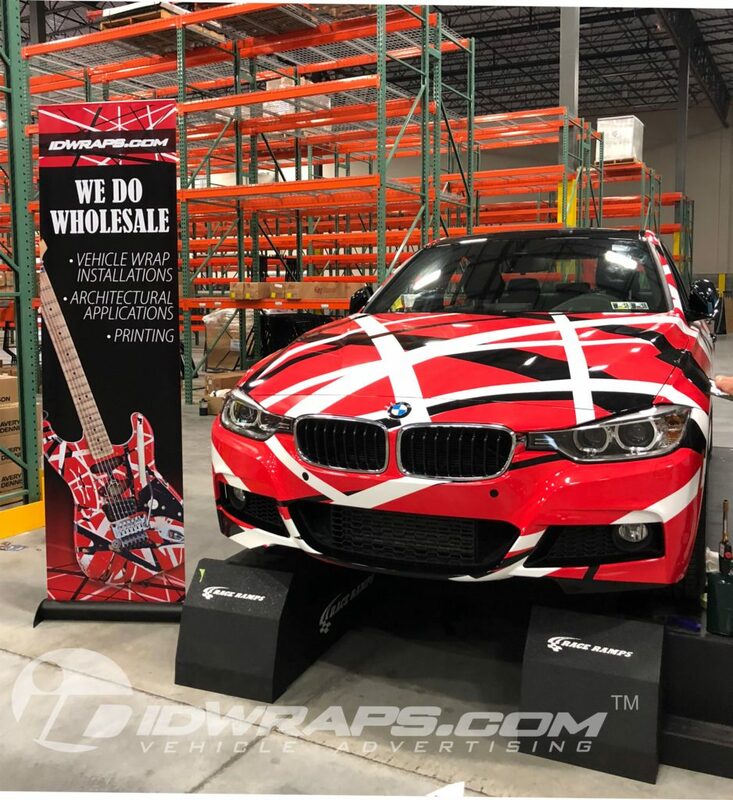 Luckily the warranty claims are few and far between, since 3M always makes the best materials for us to produce those Mini Cooper 3M custom vinyl stripes. We’ve done all sorts of color combinations on these Mini Coopers. 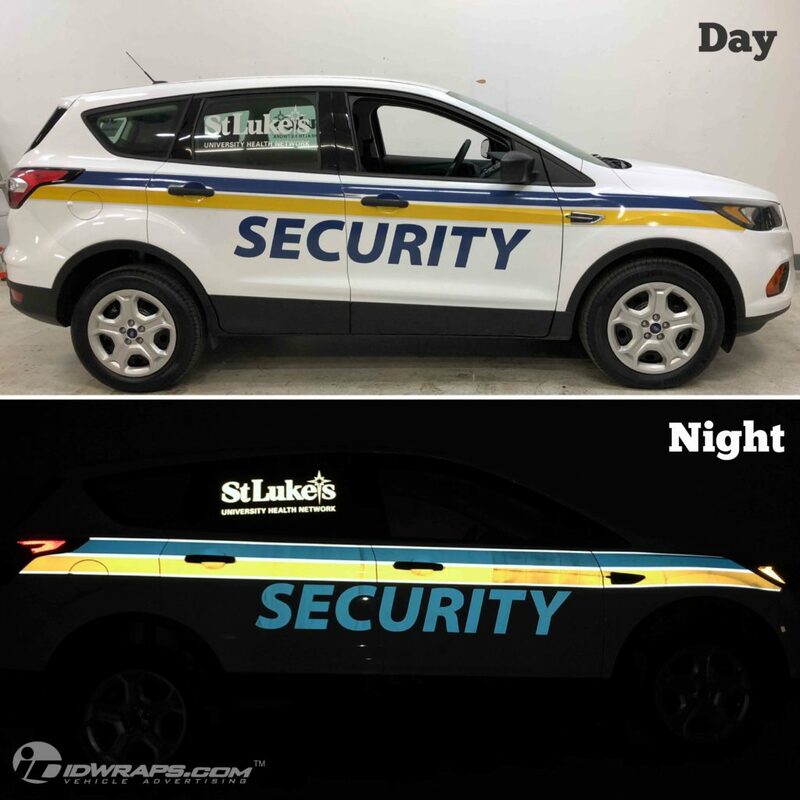 A vehicle which as a great deal of personality always makes for a fantastic canvas for graphic customization. 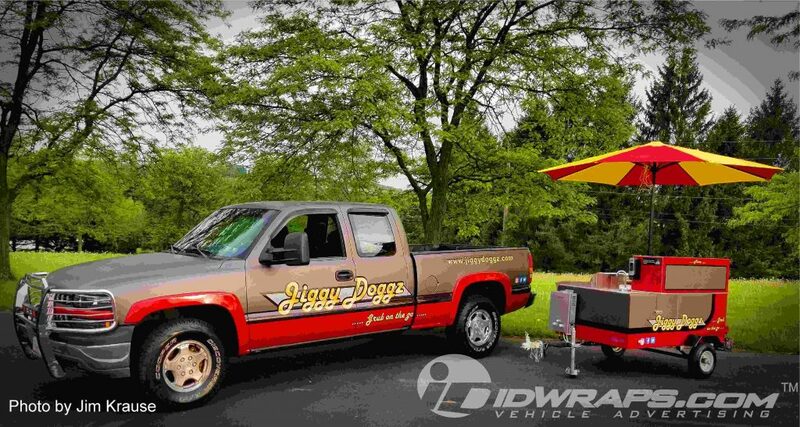 Whether your mindset is in the way of pink, purple, blue, or carbon fiber, IDWraps.com has the solutions to create that head turning one of a kind vehicle restyle.